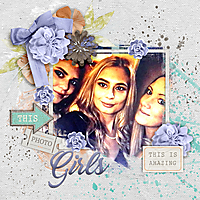 Created with This Is kit by Keep In Touch Designs. Gorgeous phototreatment Pia. They look like celebrities!! Love the colors you chose. I like the big, pretty flowers you used. Your photo treatment looks great. 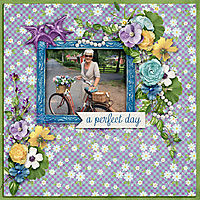 Once again Pia - a very beautiful page. 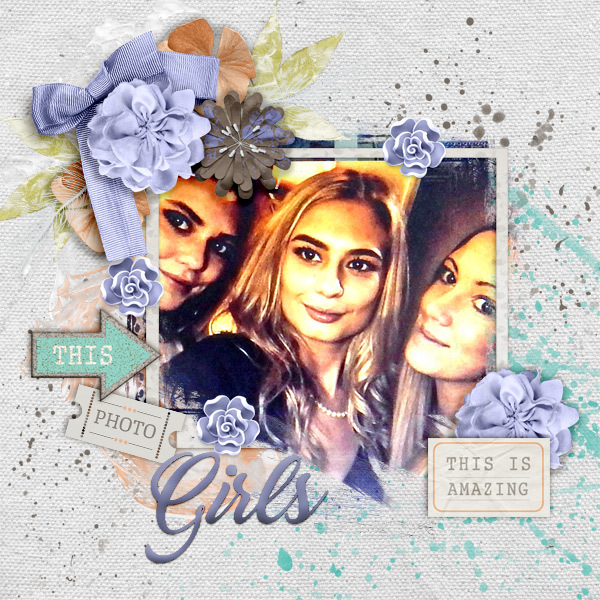 LOVE the photo and treatment - the girls look gorgeous. The photo was gorgeous and didn't need much and what you have added is just perfect! I really like the photo treatment on here and I also really like the way that you've used the frame.